A gamma ray is a packet of electromagnetic energy--a photon. Gamma photons are the most energetic photons in the electromagnetic spectrum. Gamma rays (gamma photons) are emitted from the nucleus of some unstable (radioactive) atoms. Gamma rays are an extremely high-energy form of electromagnetic (EM) radiation. Gamma ray radiation has a much, much shorter wavelength than visible light, so gamma ray photons have much, much higher energies than photons of light do. Gamma rays lie at the extreme high-energy end of the electromagnetic spectrum. X-rays, which have slightly lower energies than gamma rays, are the neighbors of gamma rays along the EM spectrum. In fact, the spectral ranges of hard X-rays and gamma rays overlap. Gamma rays have wavelengths of about 100 picometers (100 x 10-12 meters) or shorter, or energies per photon of at least around 10 keV. This type of electromagnetic wave oscillates with a frequency of 3 exahertz (EHz or 1018 hertz) or higher. There is no sharp distinction between the highest energy X-rays and the lowest energy gamma rays. The distinction between X-rays and gamma rays is actually based on the origin of the radiation, not on the frequency or wavelength of the electromagnetic waves. Gamma rays are produced by nuclear transitions, while X-rays are the result of accelerating electrons. Photons with energies between about 10 keV and a few hundred keV can be either hard X-rays or gamma rays. These waves are generated by radioactive atoms and in nuclear explosions. Gamma-rays can kill living cells, a fact which medicine uses to its advantage, using gamma-rays to kill cancerous cells. Gamma-rays travel to us across vast distances of the universe, only to be absorbed by the Earth's atmosphere. Different wavelengths of light penetrate the Earth's atmosphere to different depths. Swift is a multi-wavelength observatory dedicated to the study of gamma-ray burst science. Its 3 instruments work together to observe GRBs and afterglows in the gamma-ray, ultraviolet and optical wavebands. A Gamma-ray burst could wipe out all living species on the planet Earth at any time with no warning and destroy the ozone layer in the process. There is no protection for the planet from this fate. Gamma-ray bursts (GRBs) pose one of the greatest mysteries of modern astronomy. About once a day, the sky lights up with a spectacular flash, or burst, of gamma-rays. More often than not, this burst out shines all of the other sources of cosmic gamma-rays added together. The source of the burst then disappears altogether. No one can predict when the next burst will occur or from what direction in the sky it will come. At present, we don't exactly know what causes these flashes, and we've only recently determined how far away they are. Gamma-ray bursts, which happen at least once a day, are seen to last for fractions of a second to minutes, popping off like cosmic flashbulbs from unexpected directions, flickering, and then fading after briefly dominating the gamma-ray sky. A sufficiently close gamma ray burst could do serious damage to the atmosphere, perhaps wiping out the ozone layer and triggering a mass extinction. NASA GLASTcast - Episode 1: What is GLAST? Scientists calculated that gamma-ray radiation from a relatively nearby star explosion, hitting the Earth for only ten seconds, could deplete up to half of the atmosphere's protective ozone layer. Recovery could take at least five years. With the ozone layer damaged, ultraviolet radiation from the Sun could kill much of the life on land and near the surface of oceans and lakes, disrupting the food chain. NASA GLASTcast - Episode 2: What are Gamma Rays? Gamma-ray bursts can release more energy in 10 seconds than the Sun will emit in its entire 10 billion-year lifetime! So far, it appears that all of the bursts we have observed have come from outside the Milky Way Galaxy. Scientists believe that a gamma-ray burst will occur once every few million years here in the Milky Way, and in fact may occur once every several hundred million years within a few thousand light-years of Earth. Studied for over 25 years now with instruments on board a variety of satellites and space probes, including Soviet Venera spacecraft and the Pioneer Venus Orbiter, the sources of these enigmatic high-energy flashes remain a mystery. The Hulk (Dr. Robert Bruce Banner) is a fictional character, a comic book anti-hero appearing in publications from Marvel Comics. Created by Stan Lee and Jack Kirby, the Hulk first appeared in The Incredible Hulk #1 (May 1962). The Hulk debuted in The Incredible Hulk #1 (May 1962), by writer Stan Lee, penciller and co-plotter Jack Kirby, and inker Paul Reinman. 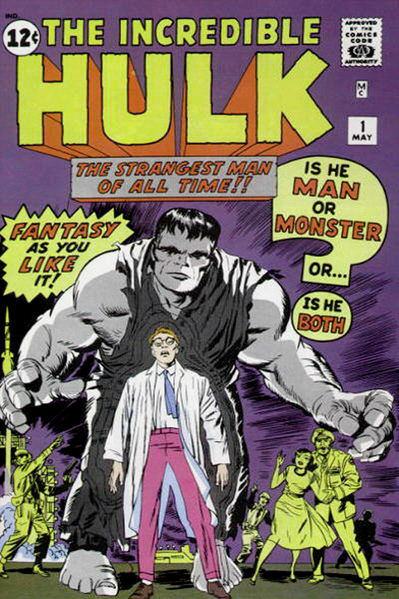 In the first issue, the Hulk was gray rather than green. Writer and Marvel editor-in-chief Lee had wanted a color that did not suggest any particular ethnic group. Colorist Stan Goldberg, however, insisted to Lee that the coloring technology at the time could not present the color gray clearly or consistently, resulting in different shades of gray, and even green, in the issue. 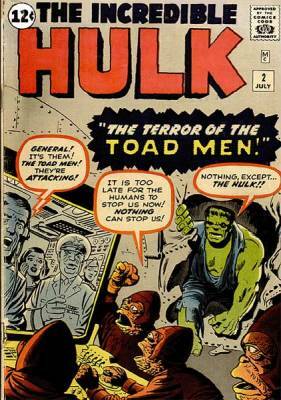 From issue #2 (July 1962) on, Goldberg colored the Hulk's skin green. The Incredible Hulk is a television series based on the Marvel comic book character of the same name. 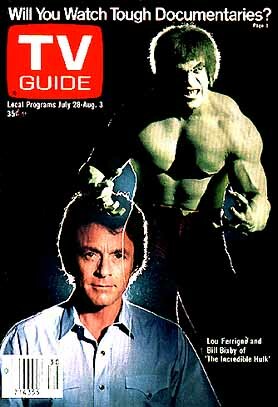 The show ran on CBS from 1978 to 1982, and starred Bill Bixby as Dr. David Banner and Lou Ferrigno as the Hulk. David Banner is a physician/scientist who has been traumatized by the loss of his wife in a fatal car accident and his guilt over his inability to save her from the burning wreckage. He begins to conduct research into strange phenomena in which human beings temporarily display superhuman levels of strength, trying to understand why others faced with a traumatic experience similar to his own were able to save themselves or their loved ones while he was not. He concludes that high levels of gamma radiation from sunspots are the cause. To prove the theory, he bombards his body with gamma radiation to see if he can endow himself with temporary superhuman strength. Unbeknownst to Banner, the equipment had been upgraded, causing him to administer a far higher dose than he'd intended. He initially thinks that the experiment has failed, but later that evening during a rainstorm, he experiences a flat tire and injures himself while trying to change it. 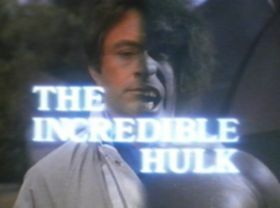 The resulting pain and anger trigger his first transformation (which begins with Banner's eyes turning a whitish-green color) into the Hulk.